Many companies and individual facilities have implemented LEAN techniques into their daily processes, and have gotten great results. When looking for ways to take that success to the next level, consider establishing a lean supply chain to further eliminate waste and improve efficiency within virtually any company. A Lean supply chain is essentially a system of interdependent partners that all work together to help get your facility the supplies they need, when they are needed. While it may sound simple at first, it is important to ensure everything is done properly to avoid any significant issues. The following steps will help you to prepare to establish a lean supply chain in your facility. Parties Involved – Most facilities have many suppliers and others that are involved with the process. Getting a list of what companies do what to keep your business moving smoothly. Supply Requirements – Make sure you have a complete list of all the products and other supplies that you need. Include information about where you need things and when they are needed. Delay Impact – Understanding what type of impact is felt by the company when there is a delay in a specific supply is important. This can help with planning inventory and even backup supplier requirements. Employee Responsibilities – Know what employees need to do what to keep the supply chain moving properly. How much time and effort is required for things like ordering, unloading, transporting and storing. Costs Involved – Evaluating the costs at each step in your supply chain can be very important. This not only includes the costs of the supplies but also any ‘soft’ costs associated with the process. Of course, there is much more to the supply chain. Taking the time to understand it as well as possible will help you to make quality improvements during the lean supply chain implementation. During the process of implementing a lean supply chain it is a good idea to create a clear visual document that everyone can reference. Being able to see all the information about the entire process will help allow smarter decisions to be made regarding the future of the lean supply chain. Some companies mistakenly think that implementing a Lean supply chain system will naturally eliminate any waste that is occurring in their existing processes. While this can occur, it is not always the case. With this in mind, it is far better to analyze your existing supply chain system and cut waste wherever possible. While this is technically an improvement on your normal supply chain strategies, it is actually going to be the first real change on the road toward establishing a Lean supply chain for your facility. By doing this type of thing in a ‘step-by-step’ way the changes will be less disruptive (and less wasteful) while converting your facility. During this step make sure you are looking for any type of waste that can be reduced or eliminated. Things like complexity in the process, wait times, any type of transportation, housing or storage uses and more all contribute to the overall waste of your facility. Increasing efficiency is often done best by finding many small improvements to common tasks. For many facilities, this is where the most significant and visible improvements will occur. Modern technology and automation can dramatically improve the efficiency of a supply chain, which is why this is such a key step in the process. Whenever you can have machines or other automated tools handle something it will be much more efficient in the long run. Of course, sometimes it is difficult to invest the money in this type of thing. Many facilities will make a mid to long term plan of action for adding technology and automation. 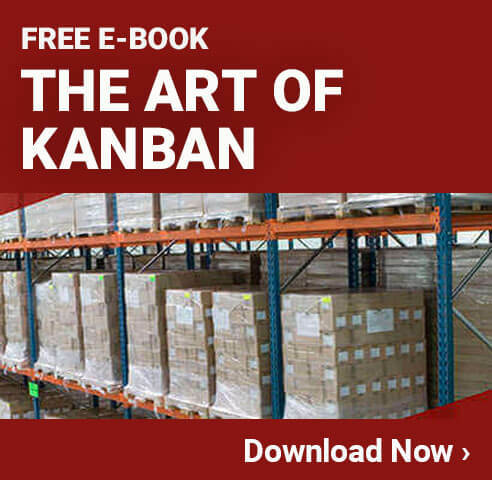 While it is best to implement these things right away, including them as part of your plan to establish a lean supply chain is a good secondary option. Many supply chains operate in a way where everyone knows their own ‘piece of the puzzle’ but that is all. Even if nobody is intentionally hiding things, most people won’t look closely at parts of the process that they are not directly involved in. This can cause some problems and reduce the ability to find opportunities for improvement. When working on establishing a Lean supply chain make sure you do everything possible to increase the visibility of what goes on throughout the process. Nobody should have ‘their own way of doing things’ that is not properly documented and approved. This will not only help allow everyone to contribute ideas for improvement, but it will also help avoid delays and trouble should an individual leave the company or their position. For years most production companies operated by pushing products through the line to get them created. This ‘push’ based system created the products which were then sold. In good times the products would be sold immediately after being created, but when sales slowed it would require storing completed products. Any time you have to keep inventory in a warehouse it is a form of waste and can lead to further forms of waste. 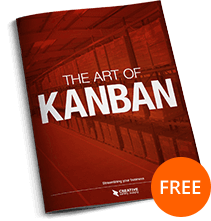 With this in mind, consider moving to a system such as the Kanban system of production. This can allow demand to ‘pull’ production through the process. 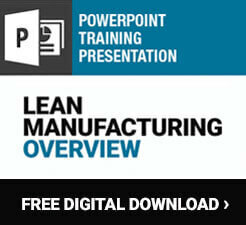 This is a big step that can help improve efficiency, which is essential to any lean supply chain. One last item to look at when working on implementing this type of change for your facility is the total cost of fulfillment. Understanding that all changes and improvements must be done based on the ‘big picture’ of the facility is very important. If you attempt to eliminate a small inefficiency in the supply chain, but it causes a lot of waste in another area, this is not a smart move. By thinking about the total costs associated with producing any product for the customer you can make a better decision on what types of changes need to be made. This can help you avoid making unnecessary changes that will cause problems down the road. Establishing a Lean supply chain is very important and can provide your business with many advantages. Once you have all the initial changes and improvements made, however, don’t think that you’re done. Part of establishing a Lean supply chain is planning for continuous improvement. With this mind, take some time to come up with a long term process improvement plan that will allow people to identify inefficiencies and other types of waste within the supply chain and get them addressed. This will provide you with ongoing benefits long into the future so that your facility can operate as efficiently and profitably as possible. Check out Creative Safety Supply for all your Lean and Continuous improvement product needs.